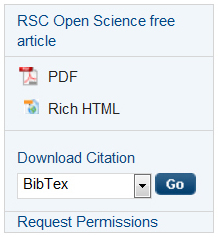 RSC Publishing is pleased to announce that it is developing the RSC Publishing Platform to work with Shibboleth institutions all over the world giving customers and users more access to high impact scientific content. Already compliant with UK Access Management Federation, RSC Publishing is now meeting the requirements of the Japanese Federation GakuNin for their Shibboleth compliance. GakuNin member institutions can now access content they subscribe to with their GakuNin username and password whether on or off campus. 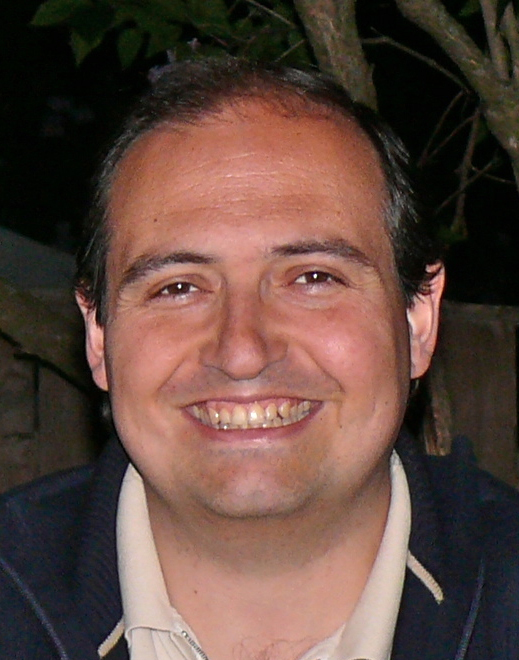 Shibboleth offers federated identity-based authentication and authorisation which allows one security domain to be shared with the users of that federation, enabling members to have single sign on and removing the need for multiple usernames and passwords. 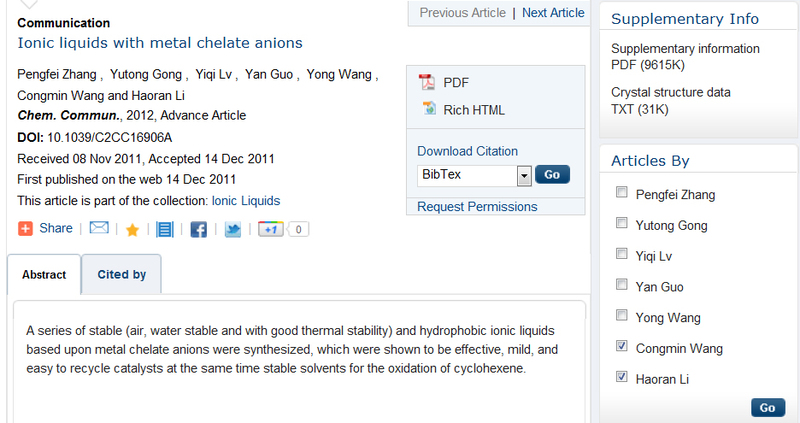 It is a well used project all over the world with academic institutions. RSC Publishing is pleased to announce that the new free RSC Mobile app for iOS (iPad, iPhone and iPod) is now available on iTunes. 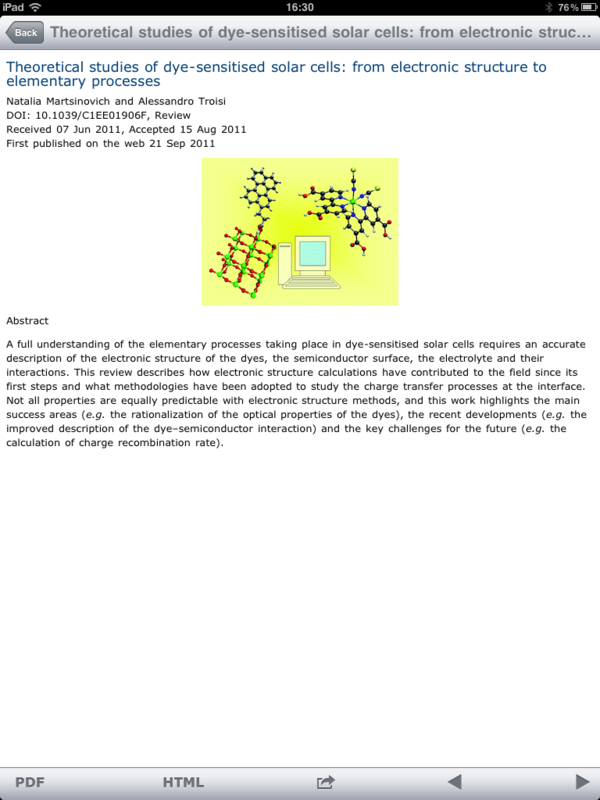 RSC Mobile provides readers with access to search more than 30 RSC journals from our RSC Publishing Platform. 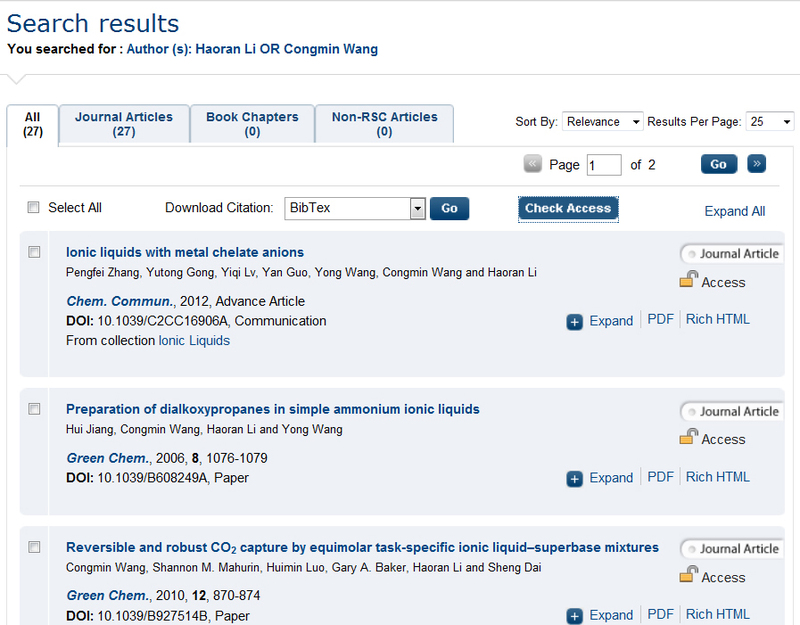 If your institution/organisation pays for RSC journals, then you can access exactly the same content on this app using your institutions/organisations wireless network. “Great app! 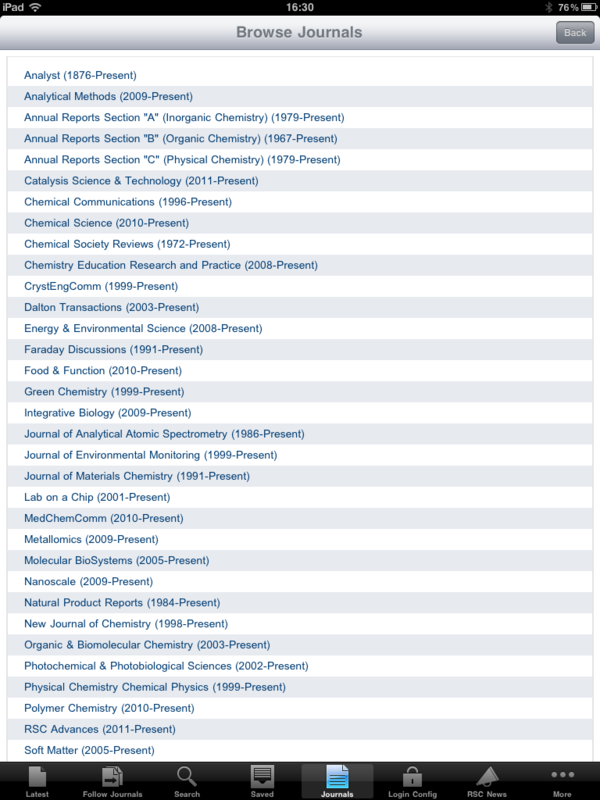 It makes it dead simple to be up-to-date with your research areas of interest. Easy to use, very flexible search, permits direct off-line saving of abstracts or papers, plus sharing your results with your colleagues (via e-mail, Facebook or Twitter) is just one-button away. 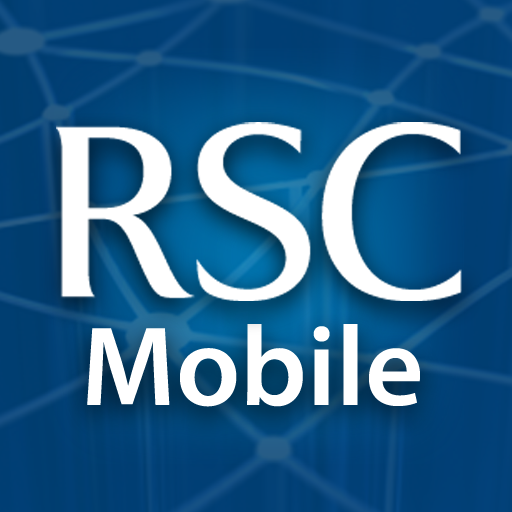 We are currently working on the RSC Mobile app for Android, which is planned for release early 2012. 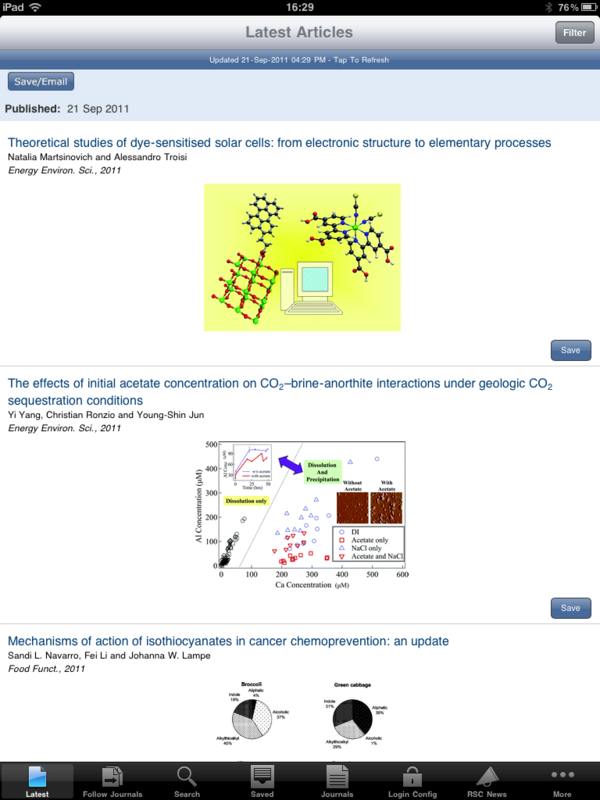 Sign up to the RSC Publishing Innovation RSS feed to keep up-to-date when the Android version will be available.